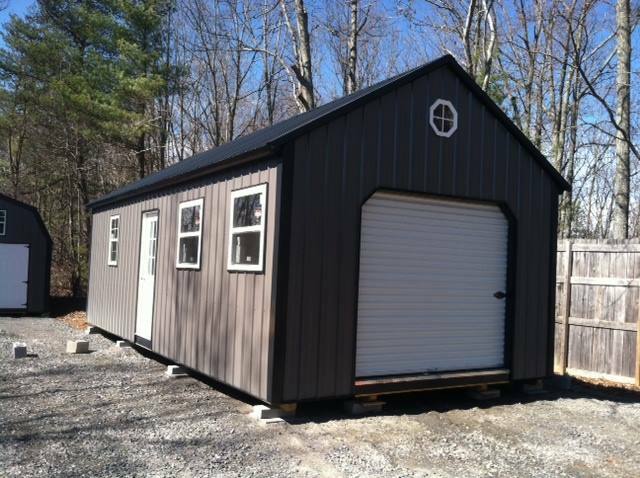 We can build any size or style garage up to a 12’x28’ here at our shop and deliver to your site or custom build anything larger on site. 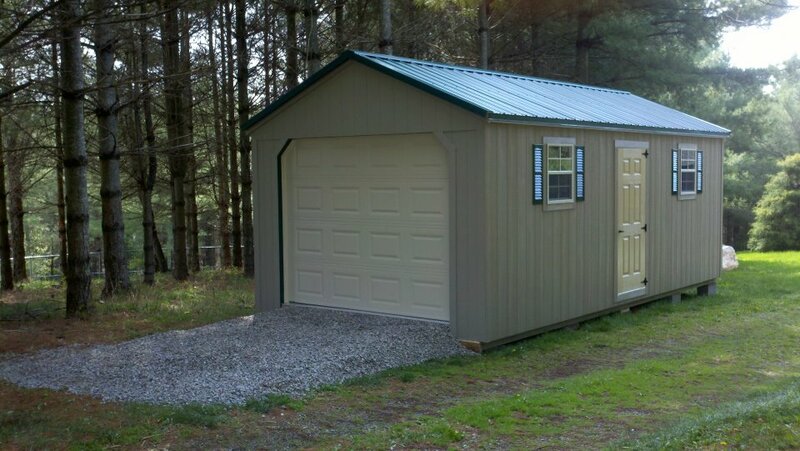 We can style the garage to match your existing home or structure and guarantee our quality. 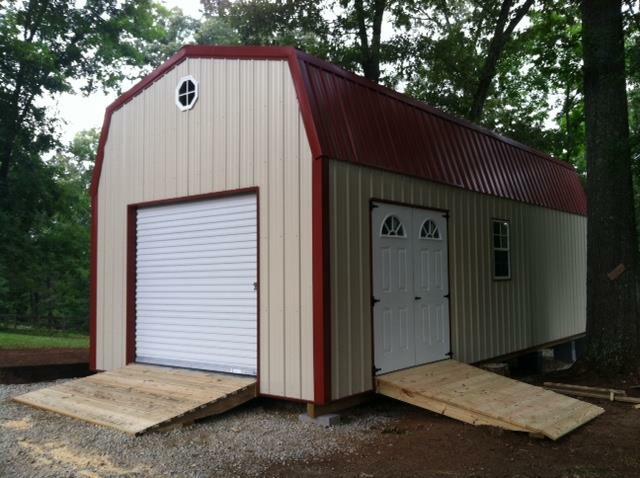 Our garages accommodate heavy loads with our strong wooden floors. 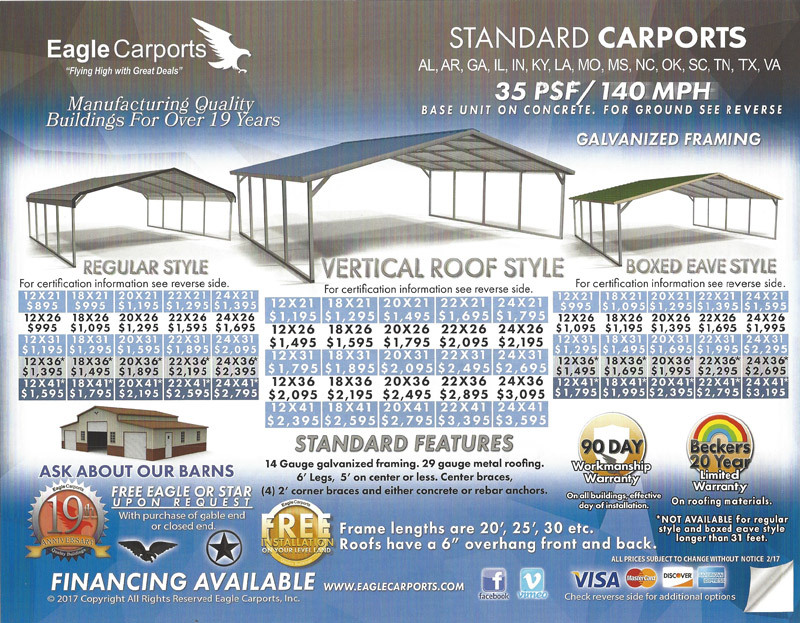 We are an official Eagle Carports Dealer!! 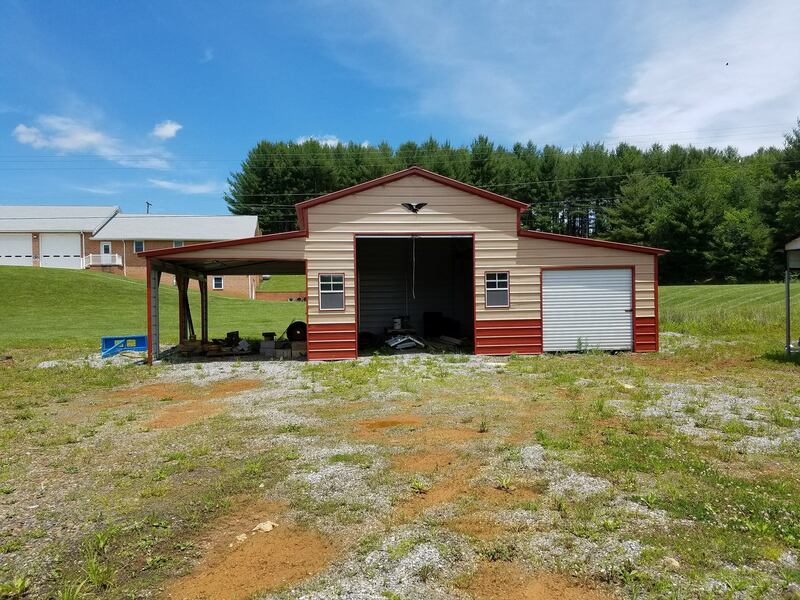 They specialize in carport structures with a large number of options in sizes, styles and colors. 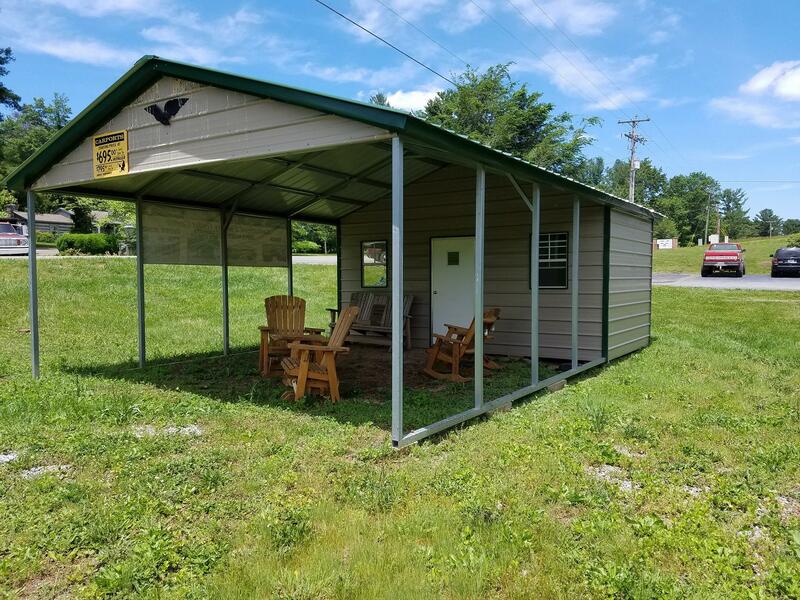 Stop by our office to get more information. 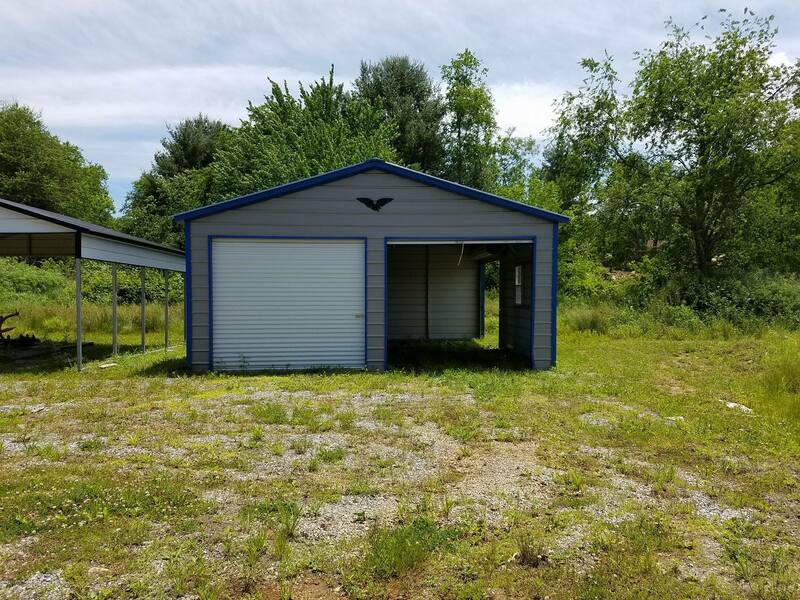 10' of storage, 2 windows & a walk-in door. 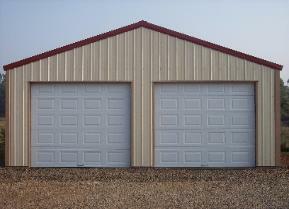 These are great for multi-purpose storage space. 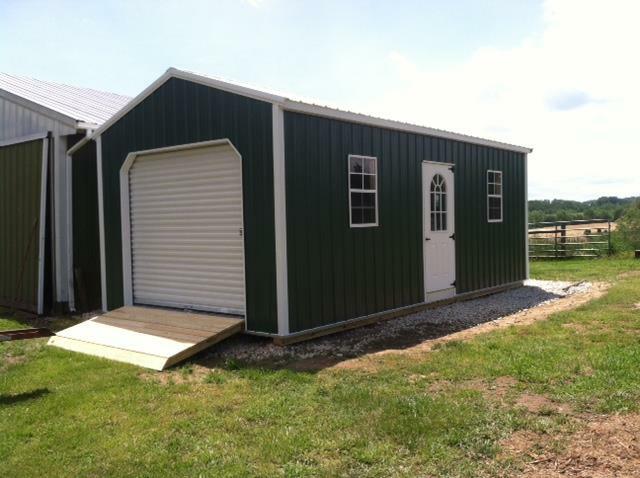 10 x 10 center, walk-in door, 2 windows & 8 x 7 rollup door.